Cotswolds Tourist Guide: Hire or Not Hire? We have to be upfront about it – you are well-advised to hire a Cotswolds tourist guide especially under certain circumstances. These circumstances include your first-time visit to the area, your special interests travel (i.e., tour of ancient castles only), and your travels with kids and pets, all of which require expert assistance to successfully carry out. Besides, it is a great comfort knowing that you have a professional who knows the ins and outs of the Cotswolds area on your side. 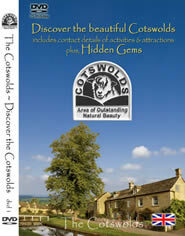 Yes, you can also explore and enjoy the Cotswolds sans a tourist guide such as when it is your second visit to the same area. It’s your choice but in this article, we shall assume that you have taken our advice and hired a Cotswold tourist guide. Your best bet in hiring a tourist guide is to ask for their qualifications, of which the most important is the Blue Badge and the Green Badge. Your tourist guide can either have one of these nationally-recognised badges, which are proof of comprehensive training in the profession. At the very least, you have the benefit of a professional tourist guide on your side that, hopefully, translates to friendly, enthusiastic and competent services. What exactly are these badges? A Blue Badge guide has been trained by a training provider and subsequently examined by the Institute of Tourist Guiding before granting the appropriate credentials. A Green Badge guide is trained by and then registered with the Heart of England Tourist Board. This professional Cotswold tourist guide is able to lead town, village and country walks in the area as well as conduct coach tours in Gloucestershire. You can contact these professional Cotswold guides through the official websites of the above mentioned accreditation agencies or through dedicated websites of the guides themselves. 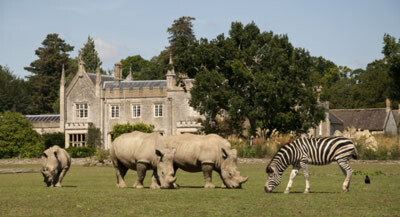 After choosing your tourist guide, you can then choose from the available tours. In most cases, your choice boils down to scheduled tours and custom-made tours with the latter understandably often more expensive than the former. In many cases, both types of tours happen over a 7-day period especially where walking tours are concerned. Accommodations, transportation and meals, among other services are also included in the package. Your Cotswold tourist guide should be able to plan almost everything for your tour of England’s Area of Outstanding Natural Beauty. Now, all you have to do is show up and enjoy your holiday.